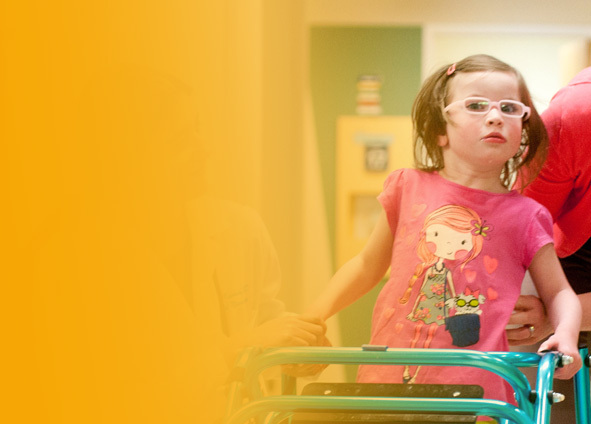 Dayton Children’s offers advanced, comprehensive neurodiagnostic testing to help our team diagnose neurological disorders and evaluate how well therapy is working for the patient. Electroencephalogram (EEG) measures and records the electrical activity of the brain. It can help in the diagnosis of conditions such as epilepsy and sleep disorders. Electromyogram (EMG) is a test that records the electrical activity of muscles. It is used to diagnose nerve, muscle and spinal cord disease. Evoked potentials are used to measure the electrical signals to the brain that are generated by hearing, touch or sight. These tests can help confirm neurological conditions such as a brain tumor and spinal cord injury. Nerve conduction velocity tests are used to measure how electrical signals travel through the nerves. This test is used to detect nerve dysfunction. Sleep monitoring takes place in the Dayton Children’s pediatric sleep center. Dayton Children's is part of the Fetal to Newborn Care Center. If during your pregnancy your baby is diagnosed with a neurological fetal condition, our nurse navigator will help walk you through the process of meeting with specialists for both your pregnancy and after birth. For more information and a list of fetal conditions we treat please visit www.fetaltonewborn.org.